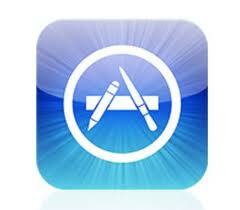 The Plotkin Inquiry: IP and Tech Law Review: Is ‘App Store’ an Apple trademark? For decades, owners of trademarks on celebrated brands such as “Band-aid” and “Ziploc” have fought vigorously to keep those marks from becoming generic. A generic trademark is one that, through common use, has come to symbolize an entire category of products or services rather than the specific offering of the company that originally employed the mark. Famous examples of marks that have been canceled because they were found to be generic include Aspirin, Thermos, Zipper, Escalator, Philips-head screwdriver and Heroin (originally owned by Bayer AG). At one time these marks were owned by large firms. Now, through the very dominance they gained in the marketplace, these marks have become generic and therefore no longer the exclusive intellectual property of the registrant. Apple is currently facing such a situation with its trademark application for “App Store”. Apple applied for a mark on “App Store” in 2008. Recently, Microsoft has opposed the registration claiming that the term has become generic. The only real way to prevent a mark form becoming generic is to litigate against anyone who employs it. Fortunately for them, Apple seems to have no problem litigating. That’s probably why they just filed an injunction against Amazon in an effort to prevent them from launching their new online “App Store” under that name. Some might argue that they’re too late. In their filing, Microsoft points out the widespread use of the term App Store in the news media and common vernacular. They also cite an instance where Steve Jobs himself referred to the competition’s “App Stores” in a speech. We have yet to see if the US Patent and Trademark Office will find this convincing enough proof to conclude the generic nature of the term. I am of the opinion that Microsoft’s council, Mr. William O. Ferron Jr. Of Seed IP Law Group PLLC, should have argued alternatively that “App Store” is merely descriptive of the service being offered. Both The New Oxford Dictionary and Merriam-Webster Online define “app” as short for “application”. In the trademark application, Apple disclaims the word store. We wouldn’t feel tempted to award a trademark on “shoe store” or “toy store” if an establishment sold shoes or toys. Why should an app store that sells apps be treated any differently? It should be interesting to see how this plays out considering other companies like Shopify and DirectTV (to name just two of many) have their own App Stores. I suppose it isn’t surprising that a case involving Apple, Amazon and Microsoft would be watched with bated breath by the tech community at large.